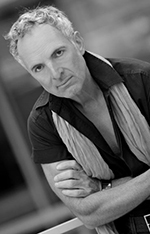 Frank Alva Buecheler is a German dramaturgist, but also a director, producer and theatre manager. As a producer he has worked on plays such as My Fair Lady for St Paula Theater in Hambourg or Jekyll & Hide for Bad Hersfeld Festival. As a writer his works include Einsame Menschen, Das Wunder Von Bern or Der Kommdant Spricht (The Kommandant), the latter being translated with his long-time collaborator Tim Clarke. The project was kept dormant for a while, but finally saw the light of the stage in 2013 for Live at LICA in Lancaster, with help of producer Matt Fenton. A couple of performance in UK followed the next year.